Mix and fill your gallon a lot higher almost to rip... so you can accommodate the depth of your seedlings (compare this picture to previous ones, you will see soil level much shallower before). 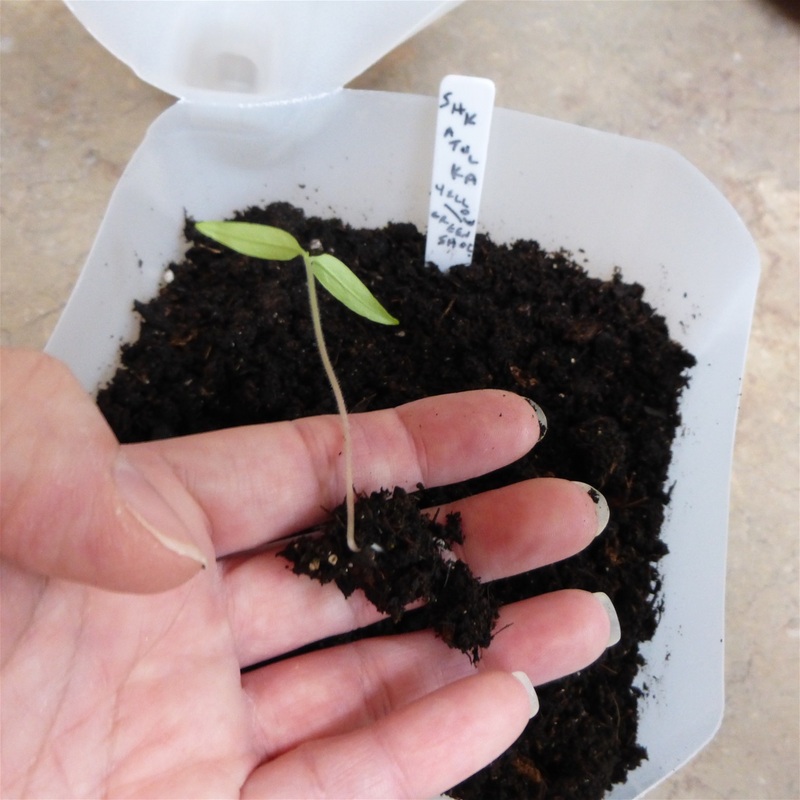 You have to handle the new seedlings delicately as they can damage and snap so easily. You basically pluck them out one by one under each root with your forefinger and thumb for easy handling.